The son of a beer company executive, Larry Dobberstein had never lived in one place for more than four years when he hit Eugene in 1990. His family left San Jose for Saint Louis in the middle of his senior year. "I couldn't wait to get back," he says. "I became a hippie in San Francisco in '67." Tiring of city life, he moved to a rural hippie community in Takilma in 1971. "I've lived in Oregon ever since," he says, except for tree-planting in Washington, a BA in visual arts from The Evergreen State U in 1980, then a few years in Arcata. "I got work as a projectionist in the only movie theater in Ashland," he says, and when his hours were cut, he found a projectionist job in Springfield and a place to stay in Eugene. "I'm still here, that's a record." 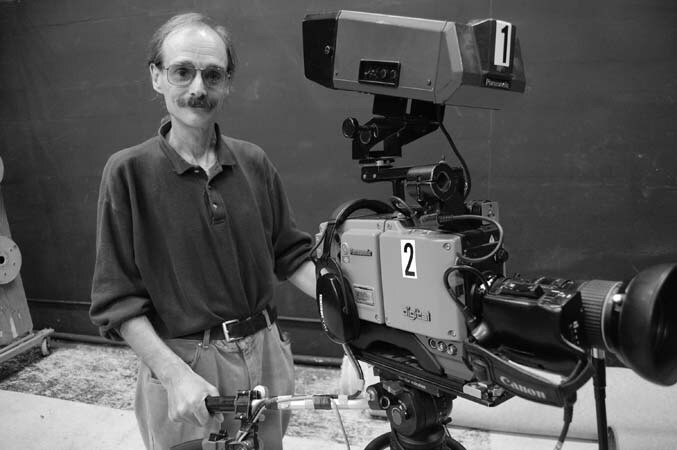 Using a borrowed video camera, Dobberstein taped a series of lectures on the Iran-Contra affair that found air time on Community TV in 1992. "It was exciting for me," he says. Currently president of the CTV board, he volunteers for office work and programming, teaches classes, produces five weekly series and lots of documentaries. "The most recent is on murals of Lane County," he says. "It's easy, it's fun, and it's cheap to produce a show and get it on TV." More at ctv29.org.